When you were a kid, you used to hide under the sheets every time you were awakened by some noise during the night. Then, your fears evolved… you were no longer afraid of ghosts, you were afraid of hackers. You covered your laptop’s camera with tape to avoid being spied upon in your room. You downloaded every antivirus update and tried to come up with extremely intricate passwords – which you usually forgot. And then Cambridge Analytica happened, Mark Zuckerberg betrayed you (and everyone using Facebook), and you realized you couldn’t even trust your favorite social media apps. Facebook was a part of your life, it was that safe place where most of your recent memories were recorded and where you kept track of friends you hadn’t been in contact with on a daily basis. And then you found out that Facebook was using your clicks to keep track of your likes and Google was reading your emails. Big corporations were using your online behavior to make a profit out of your private data. First of all, it is important to understand the difference between data privacy and data protection. Data protection focuses on shielding information from unauthorized use, while data privacy determines who is allowed to access the information. 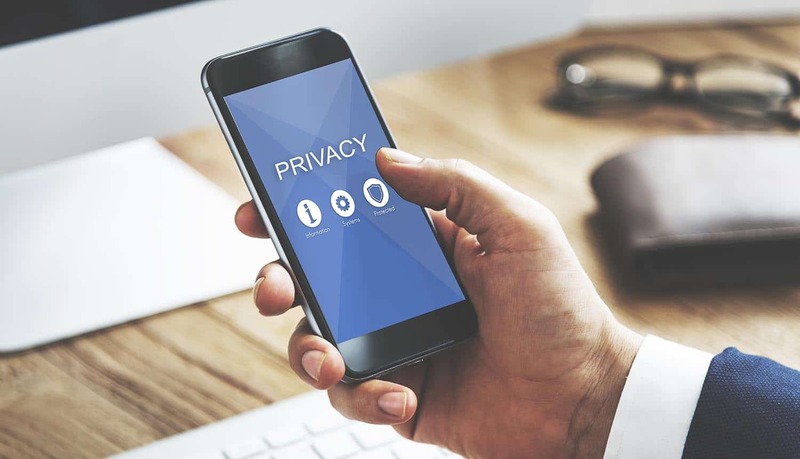 According to the RSA Data Privacy & Security Report, where the RSA surveyed 7,500 consumers across France, Germany, Italy, the UK, and the U.S., 80 percent of consumers ranked losing banking and financial data as a top concern. Security information, such as passwords, and identity information, such as passports, concerned a total of 76 percent of the people surveyed. But how real is the public concern over privacy? Is there any technology available that can actually stop the big monsters (companies) from making money out of our data? Blockchain is the perfect environment to manage private data. Blockchain is on the distributed ledger, it’s transparent and decentralized, and no one owns the network. Instead, data is distributed across different nodes and is encrypted. This means that you’re the only one with access to it. Blockchain distributes files across its network in a manner in which they remain constantly available, even if part of that network is down. Blockchain also introduces traceability, making data visible to the owner and the ones granted access to it. In short, decentralizing makes it a perfect tool for data management and data validation. Now more than ever, individuals use encryption to keep their sensitive information safe from cyber threats. When a message is secured by end-to-end encryption, only the sender and receiver can have access to it. Most end-to-end encryption schemes use pairs of encryption keys; public keys to encrypt information and private keys to decrypt. Other levels of encryption include cloud data protection, which encrypts sensitive data before it goes to the cloud, with the enterprise (not the cloud provider) maintaining the keys. Big data encryption is where data is stored in the distributed computing architectures of big data platforms. Application-level encryption encrypts data within the app itself. Through these services, users can rest assured that their data is only used for the purposes they preemptively give permission for. Not even the company operating the service will have access to the data, unless it’s explicitly permitted by the user. This can be achieved by leveraging decentralized private cloud services that allow deep integration of strong encryption into the core of the application while remaining fully flexible when deciding who gets access to the data and under which circumstances. We live in a complicated world where access to information is key, and data is one of the most valuable assets. Data-centric companies such as Facebook, Microsoft, Apple, and Amazon base their business models on the data they can harvest. Moreover, your sensitive data is now a prime target for cybercriminals, and you probably aren’t as protected as you think. Technology should provide us with the tools we need to feel in control of our personal data, not the opposite. Using complicated passwords can’t be the only solution, either. Fortunately, there is now a whole new market developing for companies that want to differentiate themselves by creating technology that makes it impossible to misuse or mishandle user data. Will that stop them from finding new ways? Only time will tell.